The University of Nebraska–Lincoln iGEM team. The University of Nebraska–Lincoln's iGEM team took home a silver medal and nomination for best poster at the International iGEM Competition this year. iGEM (International Genetically Engineered Machines) is an international and interdisciplinary program for synthetic biology projects developed primarily by undergraduate students. Teams from around the world spend the school year working in teams to develop synthetic biology solutions for real-world scientific problems. Projects are presented annually at the iGEM Giant Jamboree in Boston. This is the University of Nebraska–Lincoln’s third year participating in the competition. 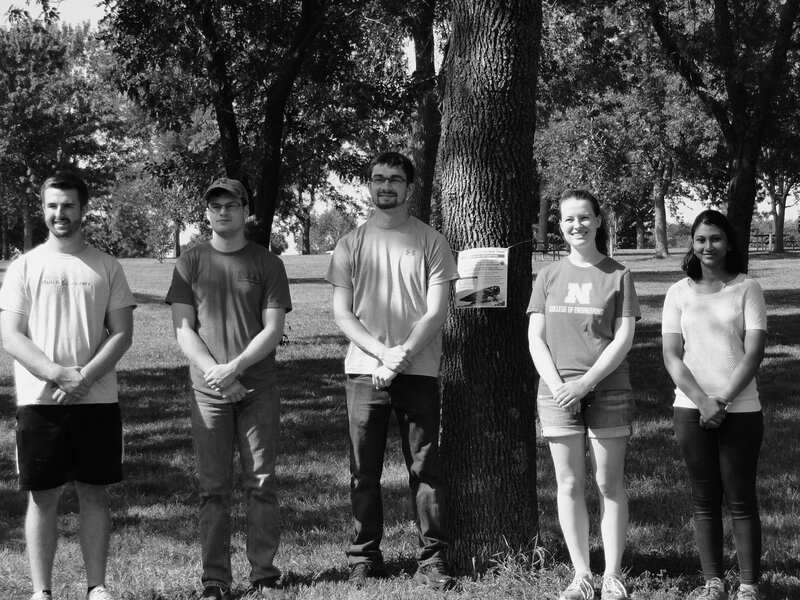 This UNL iGEM team’s 2018 project involved engineering a strain of E. coli to control the emerald ash borer, an invasive species of insect killing off ash trees in Nebraska. The team has been working since January to create a better emerald ash borer trap to understand how it moves across areas and develop a better understanding of how to treat affected trees. CSE junior Tyler Barker worked to create a computational model for analyzing the dynamics of the chemical’s production. Established standard equations for enzyme production in the E. Coli cell can be programmed to model the system. The computational model was then used to find more efficient ways to produce the chemical. The iGEM team members included computer engineering students Barker and Shreeya Vaitla, as well as chemical engineering students Rachel Van Cott and Gabe Astorino, biochemistry student Nicholas Kite and biomedical engineering student Drew Kortus. Advisors included CSE associate professor Myra Cohen and assistant professor Massimiliano Pierobon, as well as chemical and biomolecular engineering associate professor Wei Niu and chemistry associate professor Jiantao Guo. Congratulations to the team on another great achievement!